It’s been just more than 24 hours since I defended Rick Perry against the smear by Jonathan Martin about his intelligence, but yesterday, a bit of information arrived to more strongly suggest that Mr. Perry has other problems. In addition to the other instances in which his conservative credentials have come into question, now arises the question of his tacit support for Hillary Clinton’s healthcare plan of 1993. 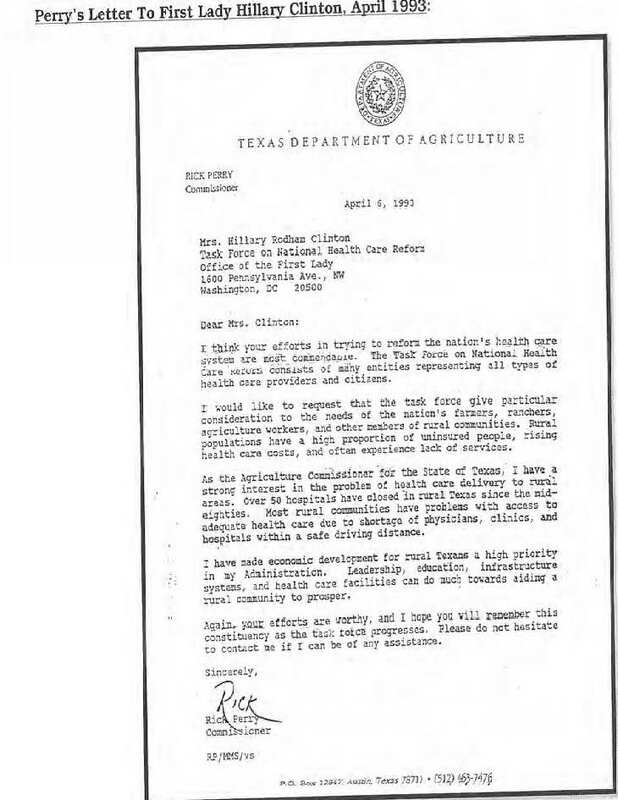 In a letter to Mrs. Clinton, then Agriculture Commissioner Perry expressed support for the ill-fated overhaul plan. Many are inclined to ignore this because in addition to being an eighteen year old letter, everybody knows Rick Perry had been a Democrat before becoming a Republican, so the thinking is that this should present no problem. 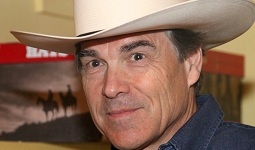 Unfortunately, Rick Perry had already changed parties in order to run for the post as Agriculture Commissioner, the post in which he served at the time of the letter. Rather than questioning Rick Perry’s intelligence as does the leftist media, I believe we conservatives must ask a much more serious question about the sincerity of his most deeply held philosophical underpinnings. Does he mean it? Is it just an act? Is he really a conservative?